6 p.m. Sunday, May 19. 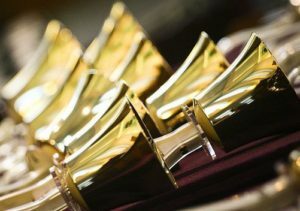 This fabulous handbell choir comes to us on tour from Reno! You’ll be amazed at the sounds they can draw from their handbells! DONATIONS benefit Tintabulations. A free reception follows. We would love your company! 5-7 p.m. Friday, May 31 – Art Show & Wine Tasting! Local artists are invited to display their best works, while guests enjoy fine wine, hors d’ouvres and music. A silent auction wins you the art of your desire – with proceeds shared by the artists and the PEACE Organ Fund. 4 p.m. Sunday, June 23 – Simon Gledhill! World-renowned organist from England, live in concert! A free reception follows. 4 p.m. Sunday, July 28 – Silent Movies with Walt Strony presents: “Safety Last.” A free reception follows. DONATIONS: Admission to these events and receptions is free. Any donation you wish to make at these Arts @ PEACE events benefits our PEACE Organ Fund – our effort to buy a new organ that includes real pipes! God gave us the arts to lift us up! Arts @ PEACE offers high-quality cultural events to western Nevada County. PEACE Lutheran Church enjoys a central location within the newly created Grass Valley-Nevada City Cultural District. In that context, we eagerly share our many blessings in music, cinema, art and other cultural gifts with our neighbors! We offer most presentations free of charge! Plus, you can enjoy a free reception afterward. That’s because we believe our neighbors need fellowship! People like lingering over wine, cheese and other snacks and beverages. Arts @ PEACE offers high-quality cultural events to our neighbors in western Nevada County. Silent Movies with Walt Strony – This series features our amazing organist, Walt Strony, performing live music with great silent films. Experience the genius of iconic actors such as Buster Keaton, Charlie Chaplin and Lon Chaney the way silent movies were originally intended: with live musical accompaniment! Walt uses music to evoke the emotions and action you see on-screen. Special presentations – Special events presented by Arts @ PEACE may include an art show or musical groups on tour. If you would like us to notify you of coming Arts @ PEACE events, please contact the church here. No spam, no sales pitches, and no sharing your email address with anyone, we promise! We will ONLY send you Arts @ PEACE notifications!